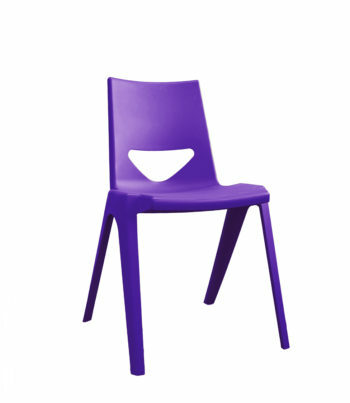 The EN ONE chair is a one piece plastic chair, so there are no screws and fittings to be vandalised or come loose ! This is likely to reduce your maintenance and replacement costs significantly. 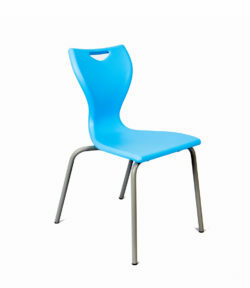 Designed to meet the criteria of: comfort, style, anti-tilt and durability, the EN ONE chair has been tested and passed as suitable for “severe contract use,” particularly reassuring if your students tend to be “unkind” to their chairs. This is reflected in the 21 year warranty. 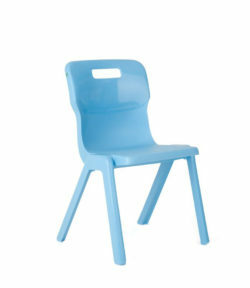 Available in nine brilliant colours it’s an excellent investment if you are replacing chairs in a single classroom or refurbishing a whole school. The EN ONE chair is available in 260, 310, 350, 380, 430 and 460 mm seat heights, so whether you need chairs for a nursery, primary school, secondary school or college there’s a size (or sizes) which will be right for your students. 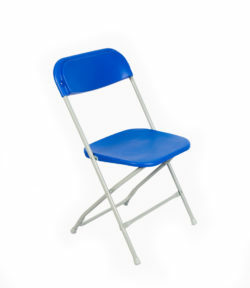 Another useful feature is that it stacks up to 21 chairs high, particularly helpful if you are short of storage space. The EN ONE has a user weight limit of 150 kg. 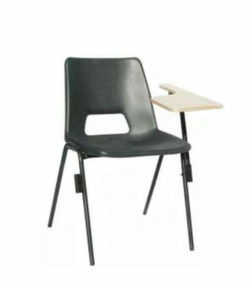 and can be supplied with a linking attachment (£ 4.95 extra) ….often required by “health and safety officers” and to comply with Fire Regulations for seating in halls and meeting places.